GOP Senator Demands Obamacare Repeal… Now! Senator Rand Paul (R-KY) has been the loudest critic of his fellow GOP members for their refusal to simply keep their promises and repeal Obamacare. He has worked tirelessly with his colleagues and with the President in an effort to force Congress to pass a simple, clean repeal of the unwieldy healthcare law. He has argued that a simple repeal and then a series of new votes to add back the “goodies” that Democrats and moderate Republicans love so much would be the easiest way to reach a real compromise. The President seems to have bought in to Senator Paul’s plan, and now the GOP-led Senate has an opportunity to do exactly what Paul has been suggesting all along… but will they? 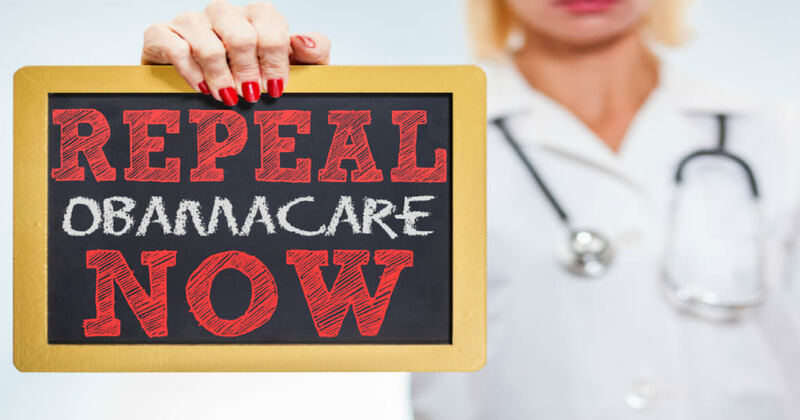 Let’s review why we are here and why must we repeal Obamacare? Firstly, Obamacare premiums have doubled in the individual market in just a few short years. Secondly, Obamacare insurance rules and mandates have caused 4.7 million plan cancellations across 30 states. Third, 800,000 fewer jobs because of Obamacare mandates and costs. Fourth and finally, 50 percent of Americans have only one choice in insurance. Many counties now have NO insurance choices. 25,000 Kentuckians who make less than $25,000 a year pay Obamacare FINES instead of getting insurance, because they can’t afford the prices. This bill is a clean repeal – though only a partial repeal. Arcane Senate rules prevent a complete repeal from being considered today. So, this bill is just the beginning. This bill begins to unravel the nightmare of Obamacare. But we have to start somewhere. And where we should start is where we all promised we would be – here to repeal Obamacare. It is time we kept our word to the American people! If you tell people you’re going to do something, do it. It’s just that simple. Read the entire op-ed at Breitbart.